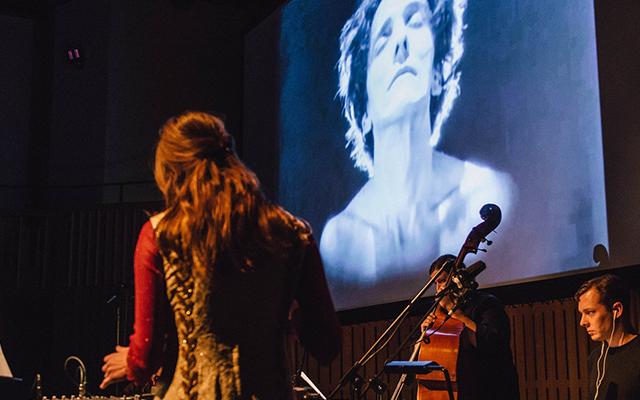 Norwegian electronic musician and producer Jan Bang (Punkt; The Height of the Reeds) and Matt Calvert of London-based avant-rockers Three Trapped Tigers perform their visceral score for Sergei Eisenstein’s 1925 cinematic masterpiece as part of EFG London Jazz Festival 2019. Battleship Potemkin is an account of the 1905 naval mutiny during which the crew of a Russian Imperial Navy vessel rose up against their officers. Although it was commissioned as a propaganda vehicle to commemorate the 20th anniversary of the unrest, the film became a testbed for Eisenstein’s groundbreaking montage techniques, which still make for a mesmerising watch almost a hundred years on. Bang and Calvert’s guitars, electronics and found sounds acknowledge the period and setting of the film with grainy timbres, mechanical clanks and trailing echoes, but with its surging electronics and live manipulation their score is resolutely contemporary, finding new ways to heighten the impact of Eisenstein’s iconic visuals. Commissioned by Opera North Projects to mark the centenary of the Russian Revolution in 2017, this gripping new soundtrack also honours the wishes of Eisenstein himself, who hoped that his film would be rescored every 20 years to renew its relevance for each successive generation.